Radium (Ra). 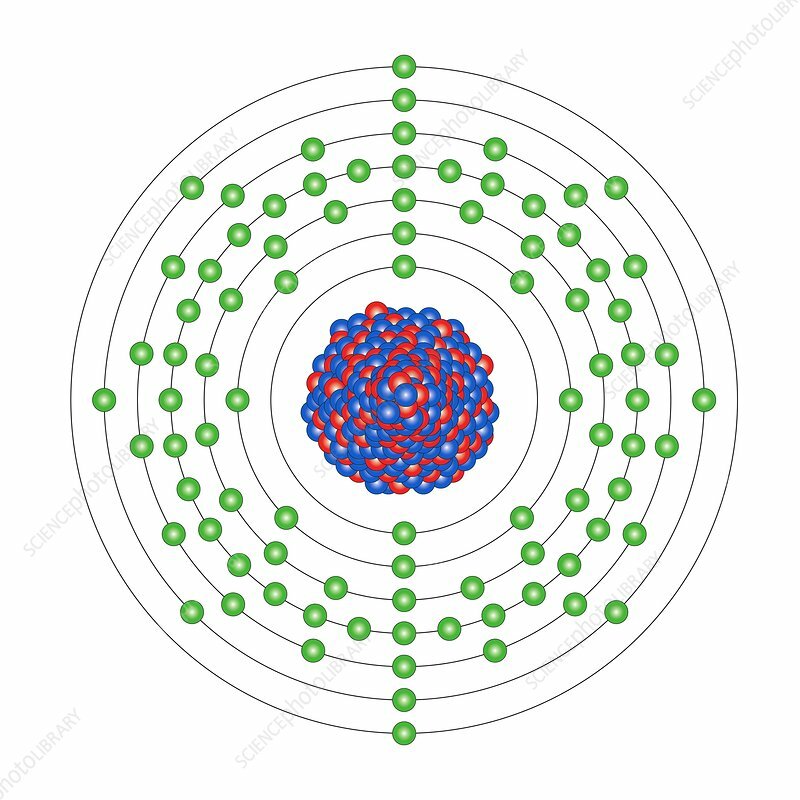 Diagram of the nuclear composition and electron configuration of an atom of radium-226 (atomic number: 88), the most stable isotope of this element. The nucleus consists of 88 protons (red) and 138 neutrons (blue). Radium is a radioactive alkaline earth metal in group 2, period 7, and the s-block of the periodic table. Formed in uranium ores, the Curies discovered it in 1898. Radium-226, once used in watches, has a half-life of 1061 years, with the unstable nucleus emitting an alpha particle to form radon-222.